As above, so below. It is said that the only constant is change. We tell you that the best way to cope with change is to be a part of the process. For a century in Earth time, there has been a concerted effort to create a society in which things essentially remain the same from one generation to the next. This attempt to stop change has only served to focus the energy during one of the largest shifts of perception in recorded history. The pressure is now rapidly eroding away long-standing beliefs and traditions, in some cases sweeping them away with the rapidity and intensity of a river burst from a dam. How then can you be a part of this process? Is it necessary to be active in violent protest or bitter arguments? Should you seek to promote a worldview? Is there a perceived wrong you should take as a cause and devote your energies toward? Let us examine the nature of the changing energy encompassing the planet. You can clearly see there are many things altering and shifting throughout planet Earth these days. It can be difficult to navigate this rapid season of change. A large part of this difficulty comes from within, for your own personal energies are also rapidly shifting. It is a rare time. 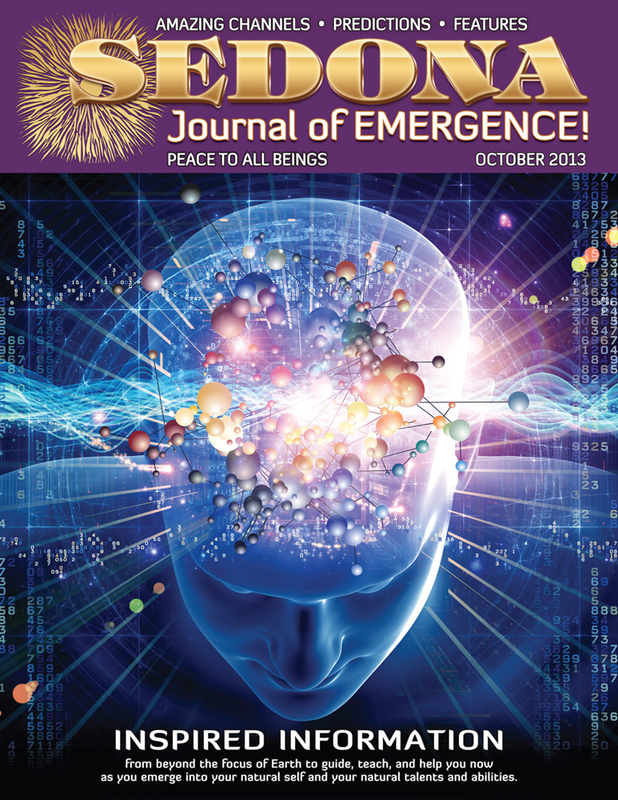 The full version of this Channeling article appeared in the October 2013 issue.